Hahn Loeser & Parks LLP partner E. Sean Medina was named a “Forty Under 40” award recipient by Crain’s Cleveland Business. He joins a list of talented young professionals who are excelling in their industries and making a difference in the community. Medina is a commercial litigator with a practice focused on providing creative and concentrated legal counsel to corporations of various sizes facing commercial disputes in court and arbitration proceedings. Over his career, he has represented clients in such diverse industries as health care, natural resources mining, and title insurance and escrow. Medina attended law school at Cleveland-Marshall College of Law, became a summer associate at Hahn Loeser in 2005 and never left. Since then, Medina has worked his way up from a summer associate, to associate, to a partner at the firm. 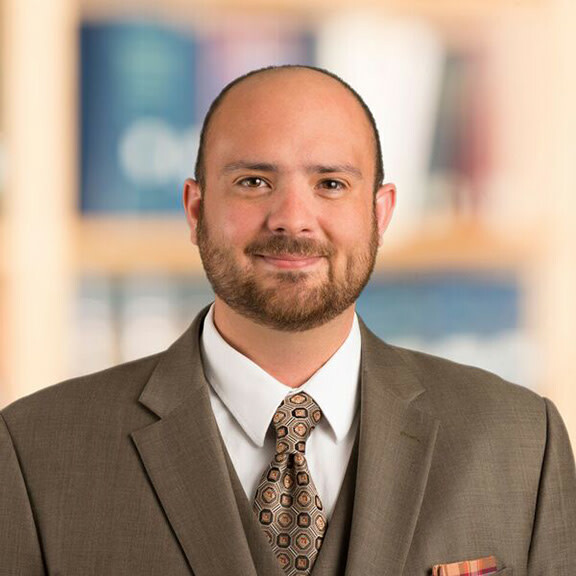 He has been named a Rising Star® in the Ohio Super Lawyers® publication from 2014-2017. In addition to his service to his clients, Sean has been a member of the Epilepsy Association’s Board of Directors since 2013. Sean has assisted in various committees with the Epilepsy Association, including its Finance Committee, and was recently appointed as the Board’s Treasurer for 2018-2019. Sean is passionate in his work, has an innate ability to build relationships with his colleagues and clients and has a desire for self-development. A big soccer fan, in 2011 he founded (and continues to lead to this day) the local Cleveland supporter’s group for the English Premier League team Arsenal. Medina and the other “Forty Under 40” recipients will be honored at an awards ceremony on November, 19, 2018 at the La Salle Theatre. To view a complete list of recipients, or for more information about the awards ceremony, click here.